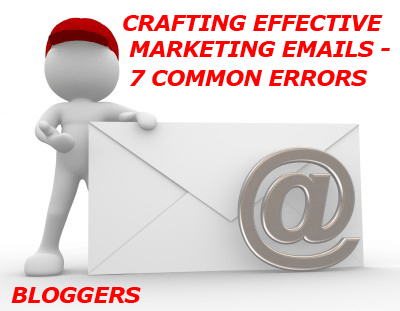 Today we are going to start to look at errors that marketers often make when crafting an Effective Marketing Email. In my last post I talked about 12 critical elements that should be present when you are crafting effective marketing emails. This was my list of elements that every email should contain. I suspect that some will disagree with me and that is okay. Today we look beyond the framework and look at the common mistakes that Marketers make in the actual text on their emails when they set about crafting effective marketing emails. In other words, we are working to craft effective marketing emails and we’ll start by avoiding common mistakes. Mistake 1: The Number ONE Error – Thinking like a Marketer! As I researched this topic there was ONE common thread that was at the top of many of the articles and posts written by the pros. Over and over (in different words) they explained how marketers found it almost impossible to get into the head of the customer and talk about things that were important to the customer. 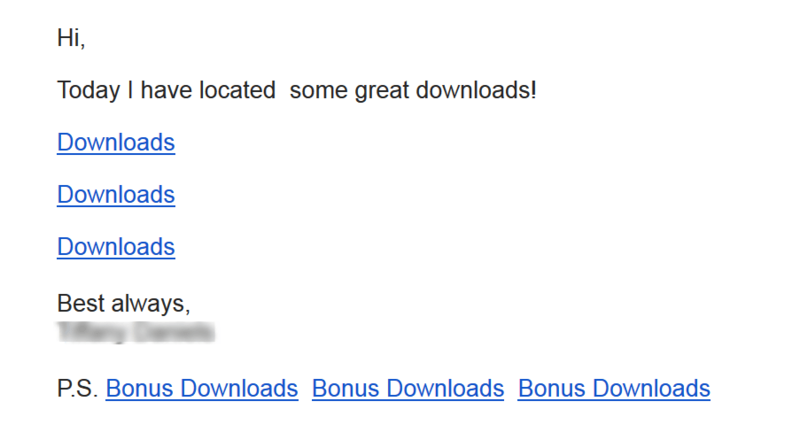 This error in crafting effective marketing emails seems to be pervasive and difficult to avoid. The most common solution was to ask your customers and potential customers what they want and give them what they ask for! “The reality is that marketers are almost always horrible at writing sales messages. Over the past 10 years, I’ve reviewed hundreds of sales messages, most of which were written by highly paid professional marketers. And almost every one of these “sales messages” has been a collection of biz-blab, technical jargon, meaningless promises and bloodless abstractions that barely describes what a company can do–let alone why anyone would want to buy from it. Mistake 2. Ignoring the Lessons of Copywriting. Let me tell you a little story. 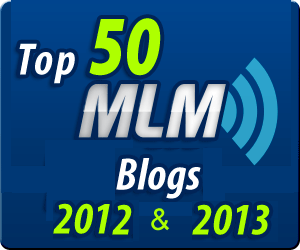 I was at a workshop last year and there were seven top tier Internet Marketers teaching the workshop. I heard all seven of them (Ann Sieg, Tim Erway, Mark Hoverson, Andrew Cass, Raymond Fong, Fenie Ceballos and Tim Sales) say at different times that if there was one critical skill for Internet marketers, it was copywriting. The general consensus was that marketers who master the basics of copywriting can start over at any time and build a large business quickly. There was NO OTHER single skill that came close. Copywriting tends to be one of those things we “put off until tomorrow.” We have more urgent things to deal with today. I would put it to you that copywriting is one of those “important” skills that trumps the day-to-day “urgent” issues. Carve some time out of your week and get to work. “There are two types of ‘readers’ who will read your sales letters, post cards, print ads, etc. NOTE: She makes the point that the “P.S.” is one of the most read parts of emails. You need to include them. “Being a Slave to the Formal Rules of Correct Grammar. When you were in school, teachers and professors were paid to read your work and they dutifully corrected your writing according to the formal rules of grammar. In the real world it’s a different story. When writing a sales letter you want your work to have a conversational readability to it. And in most instances that means writing in an informal style. Because that’s how the vast majority of buyers and sellers communicate with one another. Bloggers get used to writing blog posts that they KNOW will be read by different kinds of people. While they also know they should be writing directly to their ideal prospect, the temptation to write more generically is very strong. This usually is not earth shaking since the reader knows that the post wasn’t written personally for them. An Email in your inbox is something else again. While you know you’re on someone’s mailing list and that the email you’re reading was sent to many people, it still seems more personal after all no-one else is reading from this particular source – Your Inbox. 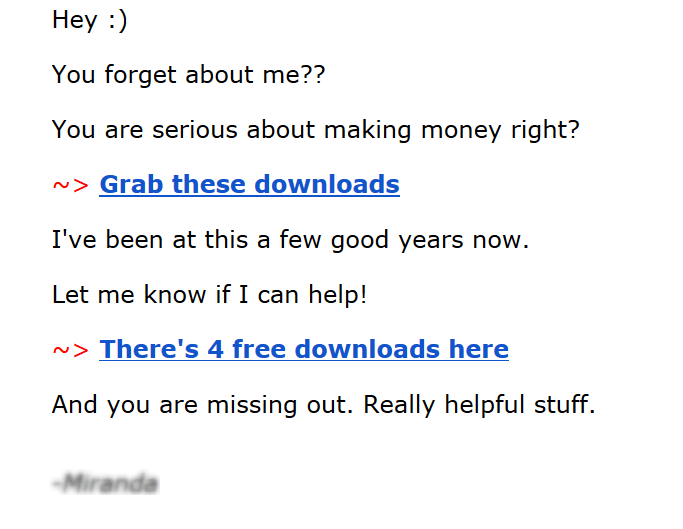 The bottom line is that the tenor of the email must be conversational and seem much more like a personal conversation. I’ve certainly received emails from top tier marketers that I know and had to stop and wonder – did he or she send me a personal email or is this a broadcast email with good personalization? This is not to say the a “conversation” with a group of high powered executive won’t sound a lot different than a conversation with a group of professional surfers, it certainly will. I’m just saying that it needs to “feel like” it was written to one person and one person alone. If you Google for “write to one person” in quotes you will see dozens of article on this one topic alone. Here are a few examples. “Writing Your Letter For the Hundreds or Thousands of People You Will Be Mailing It To Instead of One Special Person. One sure way to generate an apathetic response to your sales letter is to write for the group or list of people you will be mailing it to. “It’s written from one person, to one person. This concept may seem obvious, but I’m including it today because I see it violated a lot when reviewing email copy from new writers. It’s this: You never write to the masses, or a large group of people. You always write to one person … one person you care about. On the flip side, never write an email from a group either. “We” don’t write emails or articles. “I” do. Note: I can hear you thinking “But what if they aren’t worried about their financial future right now?” Then they are not your target market! Note: A critical part of writing to your Avatar is providing them value. Mart Thompson in the eBook Email Marketing Handbook was very pointed about this. He talked about how the phrase “The fortune is in the list” made him want to “puke”. His point that that the fortune is in building a relationship with your list. Marketers who sell in every email they send are not providing value. Marketers who say “Wow this WSO (Warrior Sales Offer) was released today and I think you should buy it from me. I’ve used it for 15 minutes and it is great!” are not providing value either. People decide to buy using emotions and then justify it with logic. If you don’t ever engage the emotional side of the reader, this process is short circuited from the git-go. Maria Veloso in her book Web Copy That Sells does a great job of describing this. One of her tips is to use the word “Imagine.” Instead of saying “You can increase sales by 200%” you say “Imagine what it would be like when you increase your sales by 200%” The first line requires the person to take an extra step. They have to stop long enough to think “Hmmm a 200% gain. That would be nice. That would mean that I would….” The second line takes you right to the “That would mean I would…” Most people are scanning their emails and will NOT stop and work through what a benefit would really mean to them. Readers really want to know that what they are buying works. Even though we know that the marketer is going to present their product in the best light possible, it still makes the readers much more comfortable when they hear a story or testimonials. Story – We’ve all heard the expression “Facts tell – stories sell!” It can be your own story but hearing something in story form gives us a good feeling. Think about how you react when you read the following statements. Testimonials – hearing that other people – real people – have used the product or service and are happy with it gives you credibility a real boost. “Not Offering Proof That Your Product or Service Does What You Say It Will Do. Not only is your typical prospect indifferent, in the vast majority of situations he is also highly skeptical. That’s why you always want to offer the reader proof that your product or service will do what you say it will do. 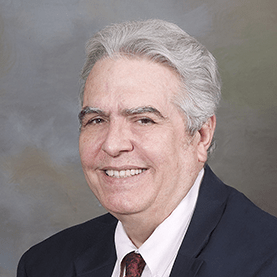 This will serve to validate your claims and minimize your prospect’s skepticism. Most important, it will establish your salesperson — the sales letter — as a more credible and believable source of information. I could go on and on with quotes. Needless to say, many of the pros comment on how often this part of the sales letter is over looked. Mistake 6: Not Using the Email to Pre-sell your products. Let me give you a couple of examples that came in TODAY. I opt-in for a lot of eBooks and love reading and learning from them. I can tell you that I unsubscribed to both of these lists. ‘nuf said. At the very least you should check how your emails look on your own smart phone.